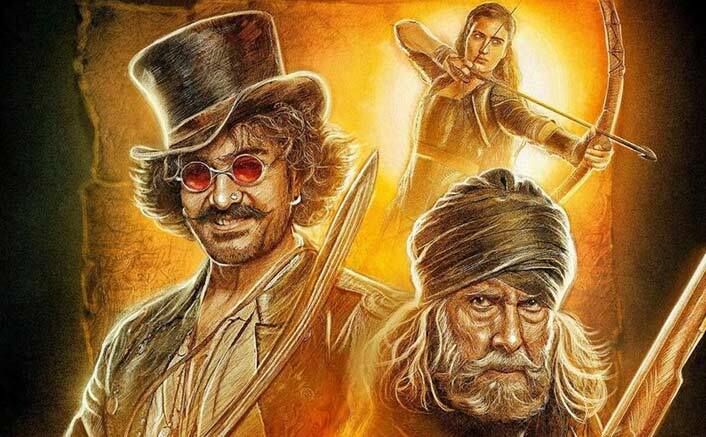 Home » Box Office » Box Office Predictions Of Thugs of Hindostan: Set For An Excellent Start! Now it has to be seen where does Thugs of Hindostan sway. Finally, the D-Day is set to arrive. Thugs of Hindostan is unarguably the biggest release of 2018 and hence expectations are mammoth. That was always going to be the case considering the film has Amitabh Bachchan, Aamir Khan and Katrina Kaif joining hands with Yash Raj Films and Vijay Krishna Acharya who has delivered an All Time Blockbuster with Dhoom 3 earlier on. The promo set the expectations further high and though the follow through wasn’t really extraordinary (which would have almost guaranteed an All Time Blockbuster Opening), the fact still remains that the industry is assured of an excellent first day number for sure. The film’s hype so far also reminds me of the kind of All Time Biggest Opening that Aamir Khan’s Mangal Pandey and Amitabh Bachchan’s Hindustan Ki Kasam (with Ajay Devgn in a double role and in lead) had set on their release. The record set by them had stayed on for quite some time, though the fact also remains that both films dipped eventually after the opening brouhaha. Both films also boasted of a strong patriotic angle. On the other hand there was Manoj Kumar’s Kranti which had again taken an All Time Biggest Opening but then had sustained wonderfully well to emerge as a Blockbuster. Again, not just the film boasted of a strong patriotic flavour, it also had a ship as a part of the narrative. Now it has to be seen where does Thugs of Hindostan sway. Hopefully it would be towards Kranti because as far as the content seems currently, there is no middle path that seems in the offering! As things stand today, a start of 40 crore is guaranteed for the film, though 45 crore is desirable. If it indeed touches 50 crore, it would indeed be out of the world and a record for sure. However, all said and done, a 40 crore opening number is what seems plausible.